I am traveling today and thinking of the people I have met in the past year of teaching, writing, praying, doing whatever one does in Europe on limited resources. What I have discovered, again, as if I needed reminding, that nothing happens by accident. The people we meet are always significant in our lives, and the places we go bear our little footsteps. God is in charge, of course, and if we are not like little, wonderful St. Therese, the Little Flower, staying within the confines of a very small parameter of families, friends, fellow sisters, in a small area of France, we still are under the great guidance of Providence. I am grateful for all I have seen and learned and for whom I have met. A small story from this website illustrates my point most dramatically. Ralph Beyer, the world famous artist who did the lettering at the entrance of Coventry Cathedral and who was influenced by my favorite, hands-down, artist David Jones, ended up working in the renewal of Coventry Cathedral for one reason-he had been imprisoned as a prisoner of war in Britain. When he was imprisoned during the war as an alien, he met the great Nickolaus Pevsner. Let this site tell the story for me. Beyer was arrested as an enemy alien and housed in the internment camp at Huyton near Liverpool, which proved to be a stroke of remarkable fortune. Among the inmates was Nikolaus Pevsner, the writer on art and architecture. This acquaintance would later be renewed with decisive consequences for Beyer's career. Beyer's internment was short-lived: after three months he was able to join the Royal Pioneer Corps, in which he served throughout the war. In 1950 Beyer moved to Cambridge to work first as a jobbing lettercutter, then, briefly, for the ex-Gill apprentice David Kindersley, who by then had set up his own workshop at Barton. It was in Cambridge that Beyer came across a magazine article with a photograph of a painted inscription by the poet and artist David Jones. Jones's very personal lettering recalled the naive early Christian catacomb carvings which had interested Beyer's father. Perhaps in a freer, less formal approach Beyer could use the lettercutting skills he had laboriously acquired and achieve something of the expressive intensity he had seen in the calligraphy and graphic work of Rudolf Koch, whom his father had championed. In 1953 Beyer set up in London as a freelance inscriptional carver. Among the more routine jobs were two which allowed him to try out his new ideas: an inscription and line carvings on a slate altar, and cast concrete lettering around a church porch, both in the East End of London. In 1955, thanks to Pevsner, he was introduced to Basil Spence, architect of the projected new Coventry Cathedral. This would lead to the defining commission of his career, and one of the most significant works of hand lettercutting of the twentieth century. 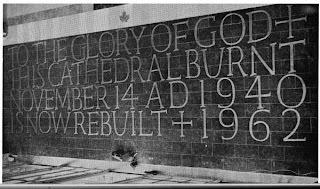 Nearly all the lettering in Coventry cathedral was executed or designed by Beyer. 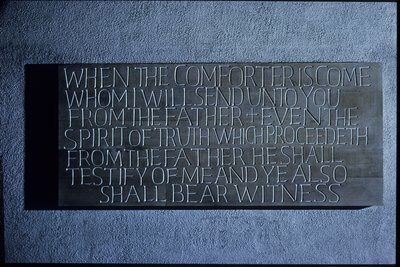 The largest Artworks are the eight 'Tablets of the Word' on either side of the nave, and the huge metal floor inscription by the main entrance. 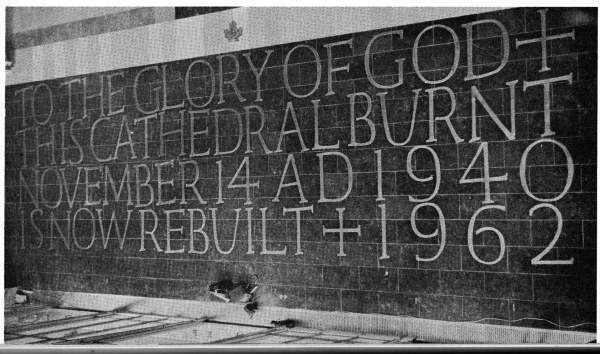 Beyer's Coventry lettering, like the cathedral itself, was controversial. Nicolete Gray praised Beyer for his courage, and for departing from tired formulae, but criticised what she saw as a lack of 'seriousness' and any 'new and meaningful organization of his variable forms'. After Coventry there would be other significant commissions among the lettercutter's staple of plaques, memorials, signs and commemorative stones. 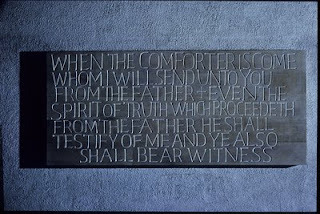 One of Beyer's personal favourites was a series of inscriptions in the Paul Tillich Park, New Harmony, Indiana, USA, some sandblasted, some hand-cut. To all my friends and readers, there are NO accidents in God. Just as Beyer met Pevsner and was influenced by Gill and Jones, so we meet and are influenced by others for good, always for good if we are in God's Grace. God bless you all, as I move my way through the outskirts of London. For Carol and Chris. A comment on another post brought up the question of rites in the Church as connected to local custom, or to devotion. Now, the Rites, which are enshrined in history and the earliest evangelization in the Church from the Apostles, are the approved ecclesiastical translations or versions of the Mass, including the Mass of St. John Chrysostom (and influences of St. Basil), which is used by several of the Byzantine communions, such as the Ruthenians and Ukrainians. Now, a Mass, the Liturgy of the Church, is not the same as a devotion. Devotions, such as the rosary or novenas, or individual prayers, have been associated with the Mass, but not part of the Mass. These properly belong before or after the Liturgy. In the New Mass, which has just been promulgated, a clearer interpretation of the Latin has been given to the public. Hopefully, the thousands of aberrational additions, which occur daily in the world, and I see a few of these in Great Britain, will be cleared away through obedience to the new translation. A community cannot decide what it wants to do here and there. There is a logic and a ritual sense to every part of the Mass. Of course, as a Latin Mass attender, when I can find one where I am, I prefer the ritual which has been the Mass of the Ages. I think the confusion is the idea of inculturalization, which many of us feel destroyed not only the solemnity of the Mass, but changed the entire approach to the Mass. Too much culture is not the same as the Rites. What is the difference, one may ask? I think the answer would lie in one's understanding of Tradition. Tradition in the Church is that which has been handed down. The Church, that is the hierarchy, decides what is Tradition and what is not. Being a Catholic means trusting in this Tradition, obeying the limits and enjoying the freedom within that Tradition. Being all things to all men does not mean adding bits and pieces to a set form. That the form may have developed organically does not mean one confuses devotion with ritual. As noted above, the Byzantine Liturgy is a written form, just as the Tridentine Mass is a written and approved form. I have been to many, many Byzantine Divine Liturgies, as a Byzantine myself, approved by the bishop as I was living in an area for several years which did not have an approved Latin Rite. I attended both the Ukrainian and Ruthenian Divine Liturgies. These were the same except for the language and the chants, as the Mass is the same. A language difference is not a devotional difference. A difference in chant modes is not a devotional difference. The Divine Liturgy is a formula of prayer and worship which has been revealed through the Tradition of the Church, and it is not a local difference added by the laity. And, as one partially from Eastern European background, I can assure one that the Byzantine Liturgy transcends nationalities. 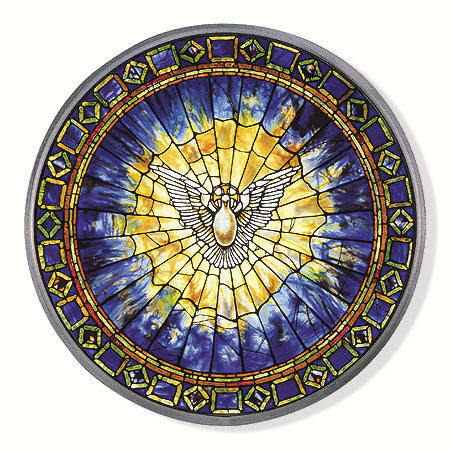 The new Ordinariate Mass, which is in the making, will reflect the Anglo-Catholic heritage of the Church in England, but it will not include devotions, but that which is intrinsic to the Liturgy. One may call this Mass national, but it transcends that definition, as the Ordinariates are found worldwide. The Anglican Usage is also a form which I have attended, and the form is a ritual not devotional. There is a logic which forms ritual. One of the grave errors following Vatican II has been the disrespect of the Eucharist with too many cultural invasions into the solemnity of the Mass. We all can list our nightmare scenarios. Now, granted the topic was not such a horror as wild dancing, drums, or various types of feminist processions, but a beautiful prayer. The problem is not the devotion itself, but the change in the Liturgy to suit various groupings. This mindset, that the laity have a right to insert or change the set forms of the Liturgy, is the problem. The New Mass allows us all an opportunity to pull back from these aberrations to a set ritual. Perhaps the insertion of one prayer seems trivial, but the form of the Mass is compromised. Now, if such permissions are granted locally, I think this begs the question as to whether we have a unified vision of worship or not. I have lived in many countries. I am distressed by the insertion of local customs into the Liturgy. This is one reason why I love the TLM. The Liturgy should be above and beyond my personal preferences for devotions. It should remain objective and not subjective, like the work of sublime revelation and art that it is. 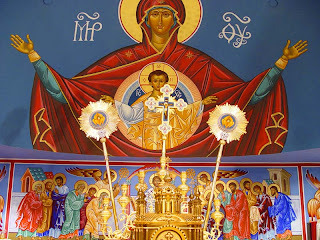 One must be able to judge the difference between devotions and parts of the Mass or Divine Liturgy intrinsic to the Sacrifice of Our Lord in the Eucharist. As Confirmation is one of the Sacraments of Initiation, one of the questions asked of people who are getting married is whether they need to be confirmed first. Here is the Canon Law to set the record straight. Canon 1065 - 1. 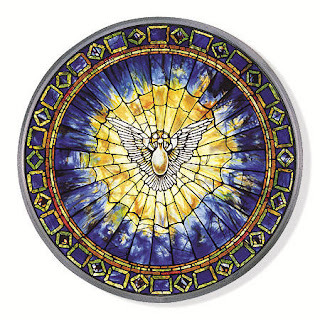 If they can do so without serious inconvenience, Catholics who have not yet received the sacrament of confirmation are to receive it before being admitted to marriage. Part of the reason for this is that Confirmation is a Sacrament of Initiation. Here is the section to be examined today. This unity has not been safeguarded in recent years, but the present Pope has made statements encouraging earlier Confirmation. Confirmation is the completion of Baptism. I would wonder why anyone would not want to enter into this completion. Such gifts are needed as well as a sharing in the Divine Life of Christ. Even in the beginning of Christ's ministry do we see Him giving us a sign of the importance of this ministry. I hope I do not have to remind readers that it is a heresy to believe that Christ did not know who He was until this time-a Modernist heresy condemned, as Christ always knew He was God and Man and Messiah. How wonderful that the Holy Trinity wants to come to us in the Indwelling of the Trinity into our souls. This great mystery allows us to have the chance for perfection in grace. Without these graces, we remain unable to reach our goal of eternal life and the more immediate goal of the Kingdom of God on earth, as members of the Catholic Church. I am reminded that the preaching, the catechesis is part of the process, a necessary part. The entire history of the Church has been the process of conversion, and new life given through the Apostolic Succession of the bishops and priests, down to the present age. When we are confirmed by the Bishop, or the appointed priest, we are assured of the continuity of teaching which is found in its fullness in the Catholic Church alone. This continuity is a great source of joy and the source of community for the Church. One might add that Protestant confirmations are therefore invalid and not sacramental, not efficacious. There should be no confusion as to charismation or confirmation as terms as these mean the same in that the outward sign of the sacrament is efficacious and does what it signifies. The laying of the hands, and the anointing with chrism impart sanctifying grace. We are body and soul and need these signs, which are the sacraments and not merely symbols.